In the world of knitting you could say the Stockinette Stitch is the meat to the potatoes of the Garter Stitch. The stockinette stitch (also known in the UK/Australia/New Zealand as the Stocking Stitch) gives a smooth stacked "V" appearance (right side) and resembles the the raised ridges of the garter stitch on the reverse (wrong side). 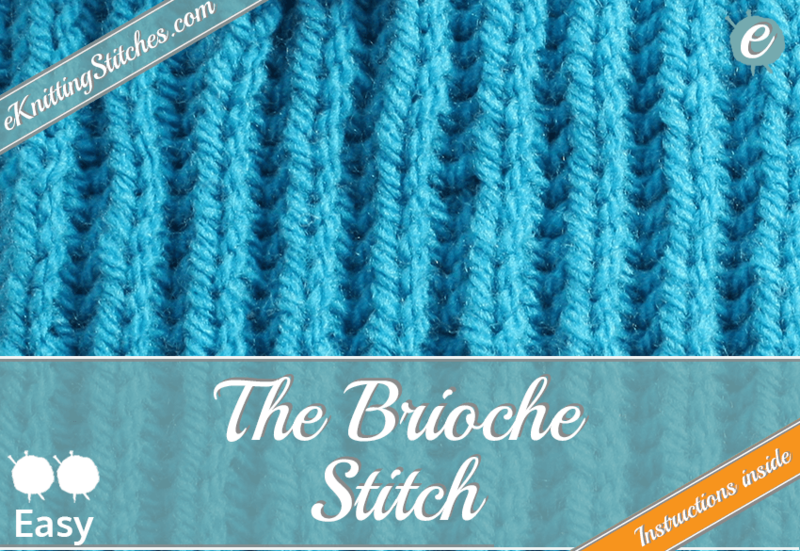 The brioche stitch is a wonderful reversible stitch that particularly serves any scarf or afghan projects that you may be thinking about undertaking. The brioche stitch (also known as the English Rib) gives a ribbed appearance on both sides of the fabric. From the hundreds (if not thousands) of different knitting stitches we have hand-picked the following seven easy to learn knitting stitches for beginners. Learning these seven stitches will give you a flying start in the world of knitting and allow you to very quickly create different textures and styles for your projects. In fact, you could create beautiful hats, scarves, cardigans and blankets from just these seven stitches and never learn another stitch in your life - but where would the fun in that be? Once you have mastered these seven, why don't you head over and try out some Cable and Twist stitches or how about some delicate Eyelet and Lace? The following seven stitches are all comprised of two techniques or stitches, the Knit & the Purl. If you haven't come across these techniques yet or you want to brush up, then we recommended you first head over to our beginners guide. The Garter Stitch is the first step into the world of knitting for the majority of people, as it is one of the easiest and (possibly as a result) the most common stitch patterns used in knitting projects. This stitch will give a rugged look, comprised of a series of horizontal ridges which will feel bumpy to the touch - these ridges formed from the tops of knitted loops on every other row. 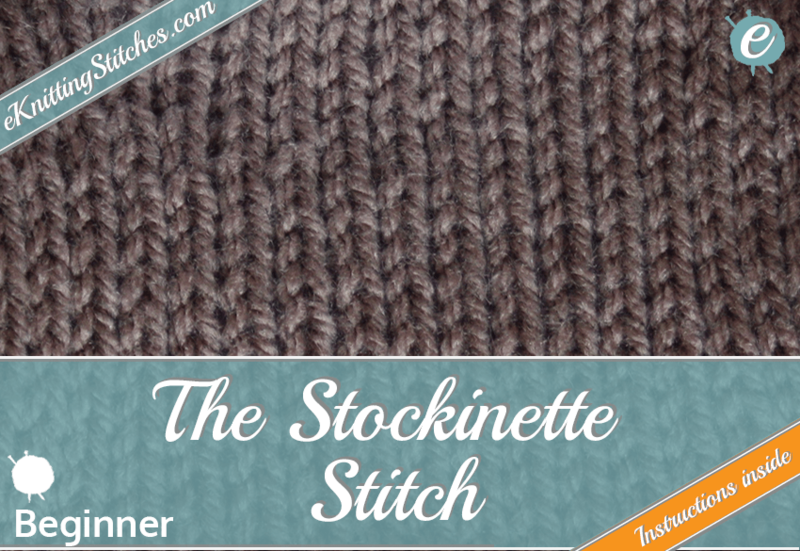 The Stockinette Stitch (also known as the Stocking Stitch in the UK/NZ/Aus) uses both the knit and the purl techniques. The stitch is created by alternating rows; first row knit, second row purl and so on. The result is a fabric that give a smooth rows of stacked "V"s on the right side and resembles the garter on the wrong side. 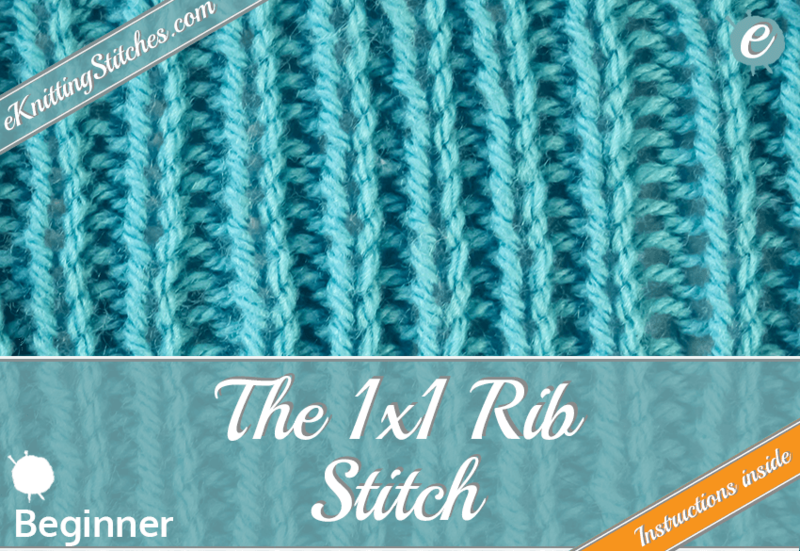 The 1x1 Rib Stitch is the simplest of the Rib Stitches. Again, the stitch is a combination of the two simplest techniques, the knit and the purl. 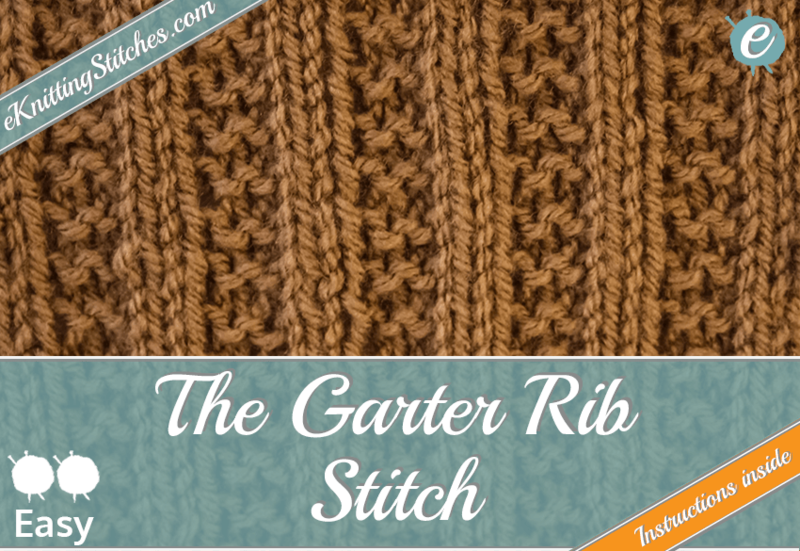 The stitch gives a raised vertical rib texture, which is created casting on an even amount of stitches then alternating every stitch between a knit and a purl. The Seed Stitch which to be extra confusing when crossing the pond is called the Moss Stitch in the UK. 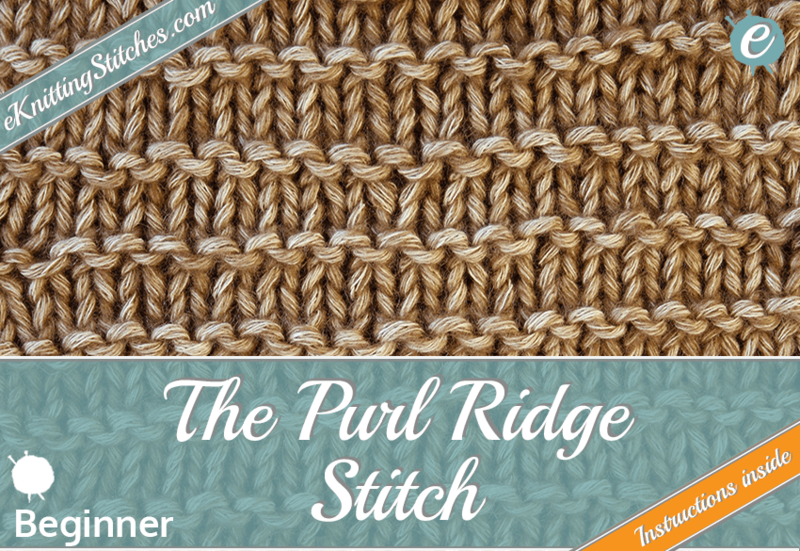 This wonderous knit/purl repeat stitch is a great reversible stitch that works well in combination with other stitches to make more complex patterns and textures. The Moss Stitch (US) is closely related to the Seed Stitch above. 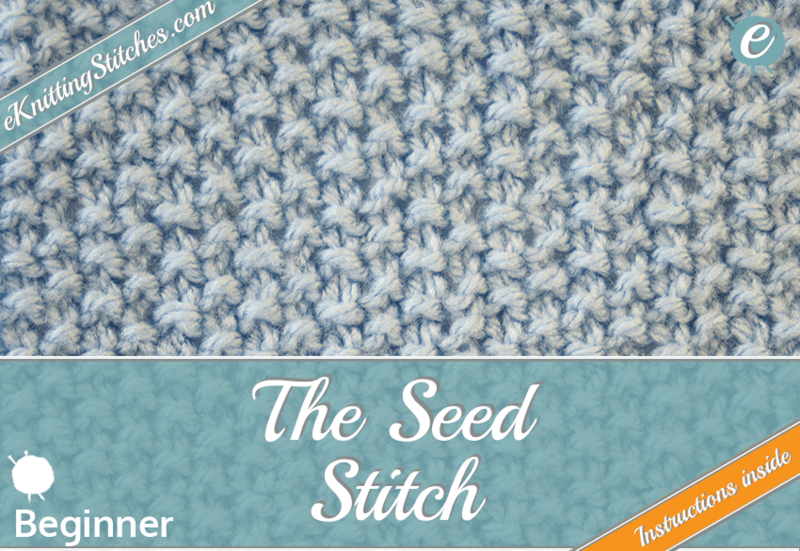 This stitch is also commonly called the Double Seed Stitch or the Double Moss Stitch in the UK. It is another great example of combining the knit and the purl techniques together to create another beautiful texture. The Basketweave Stitch may look like it should be complicated stitch, but as I am sure you are now proficient with both the knit and the purl techniques this great stitch should be a dawdle. 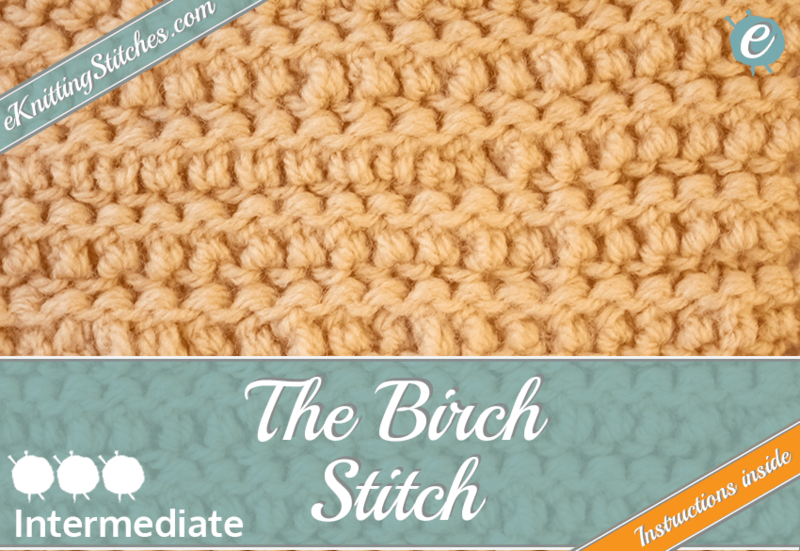 The stitch gives a very distinctive texture and one can readily guess how it got it's name! 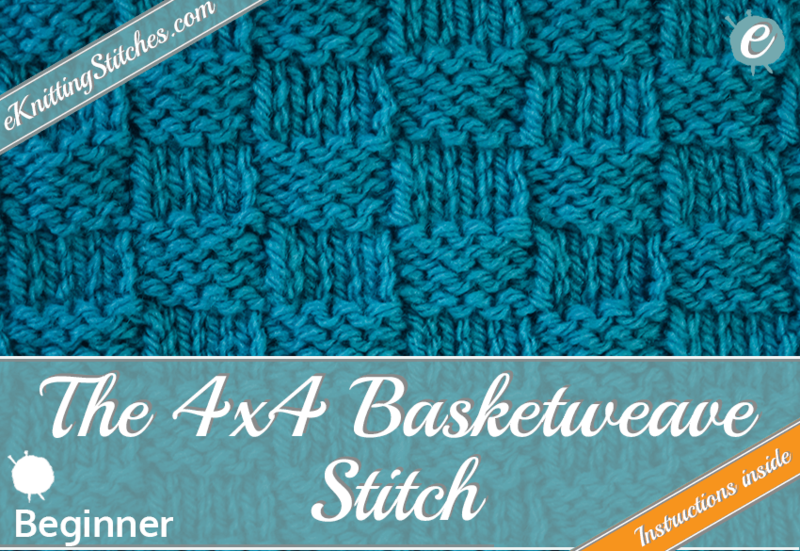 This a simple 4x4 version of the basketweave stitch, and there are many variations of it. Tried all of the above? Then why not check out the full stitch dictionary? 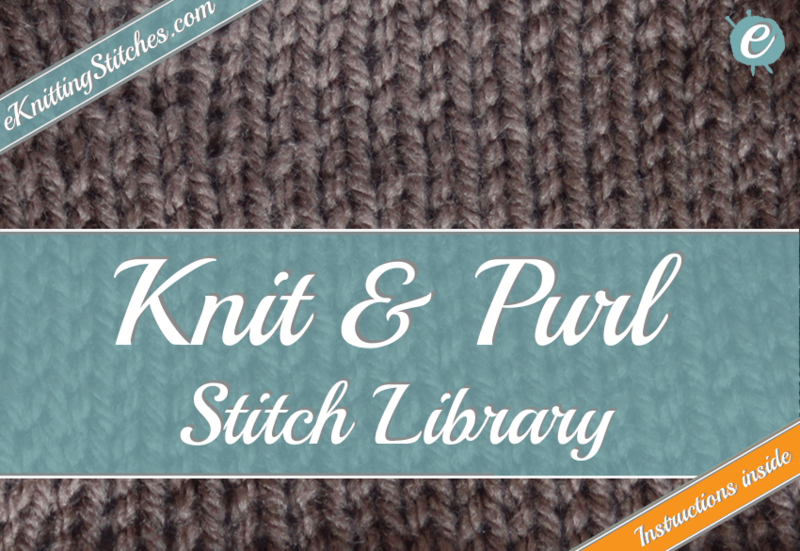 The Knit and Purl category as the name suggests is a range of different stitches created from two most basic knitting techniques (Knit and Purl). Knowing how to knit and purl gives a solid foundation to not only knit literally hundreds of patterns through various combinations of the stitches but is also the essential starting point to build on - as mastery of any skill requires a solid understanding of the basics. In fact, the majority of the more advanced techniques in knitting are generated through progressively more complex variations of these two basic techniques. That is not to say that there cannot be beauty in the simplicity of the humble knit & purl, as evidenced by the collection of knit and purl stitches we have gathered below. 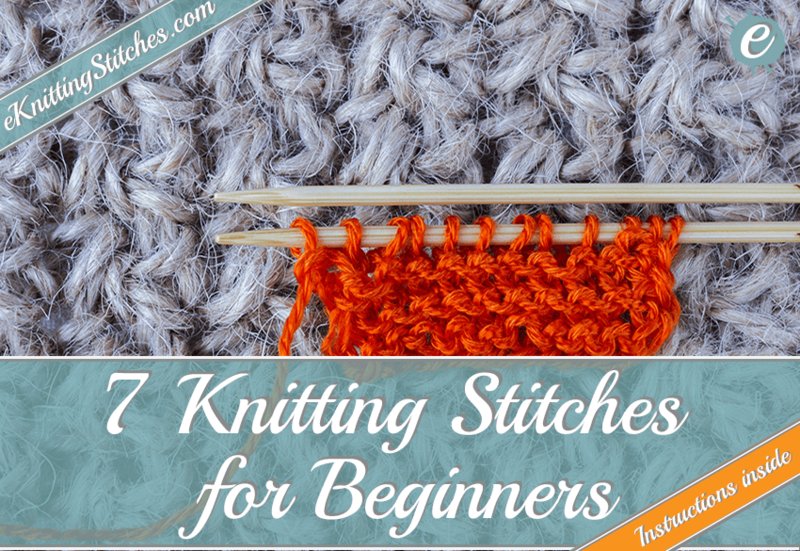 These range from basic knitting stitches for beginners such as the Garter Stitch or Stockinette Stitch, to more advanced variations such as the Fur Stitch. If you are just starting out in the world of knitting then we hope these stitches can give you some inspiration or if you are old hand who is looking for a something straightforward for their next project then please browse our collection below. 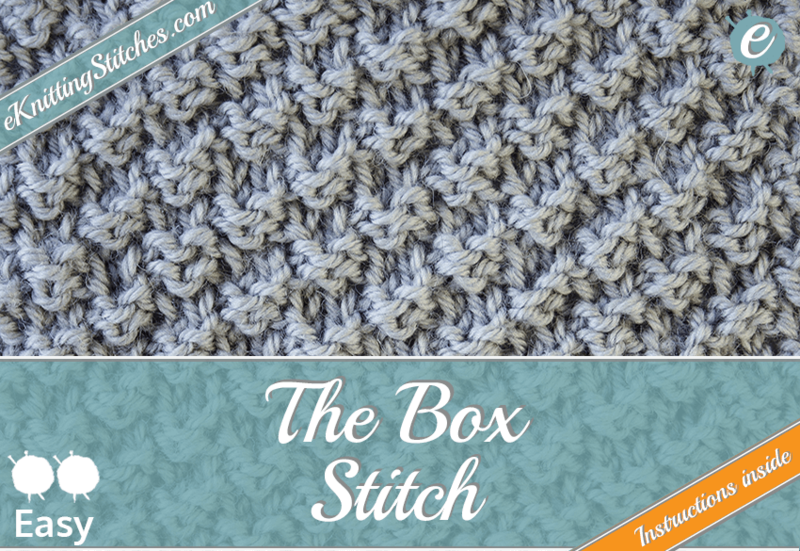 Similar to the Trinity or Moss Stitch, the Box Stitch creates a raised diagonal texture. Take the stockinette stitch and purl every nth row instead of knitting it, and you've got the Purl Ridge Stitch. 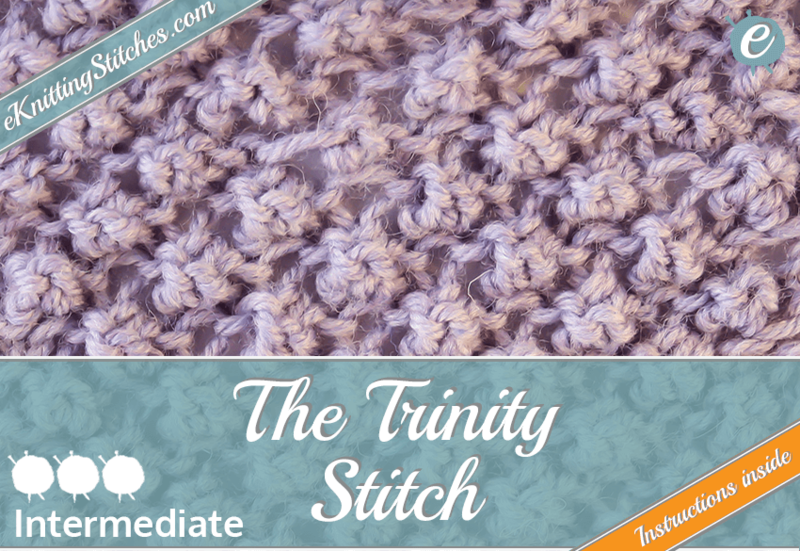 The Trinity Stitch (or Bramble Stitch in the UK) gives a raised blackberry type texture. 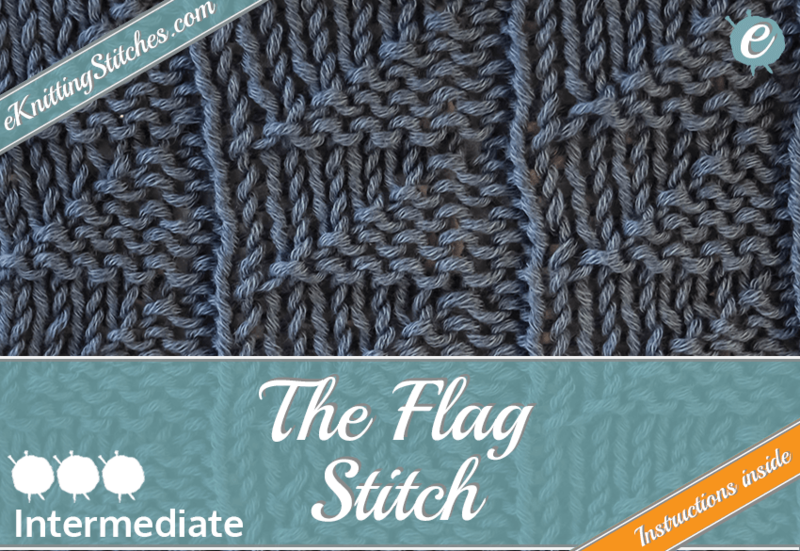 The Flag Stitch creates a repeating pattern of diagonally split flags. 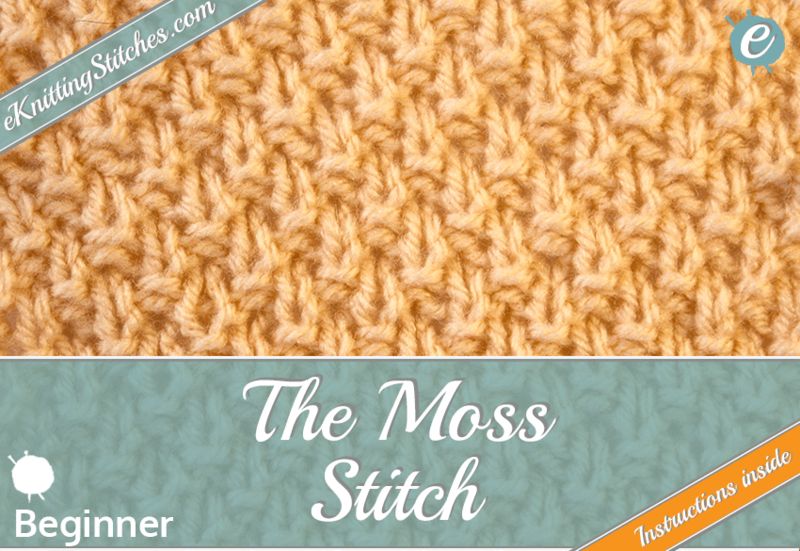 The Moss Stitch is a close relative to the Seed Stitch, giving a pretty dimpled texture. 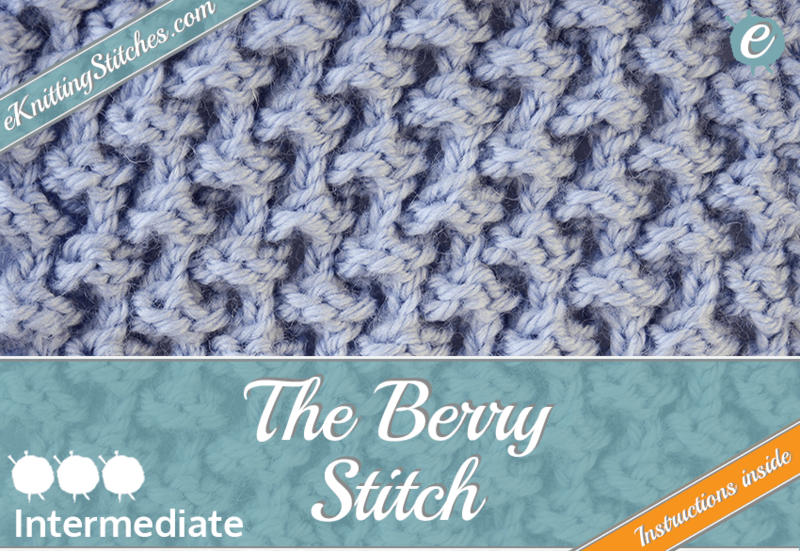 The Berry Stitch gives a raised "berry" like texture to any knitting project. 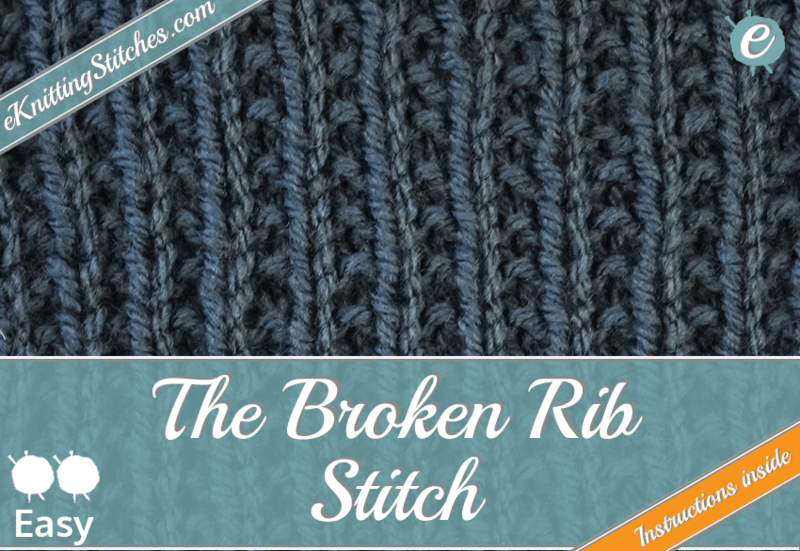 The 1x1 Rib Stitch is a very straightforward, reversible rib stitch. No surprise as to how the basketweave stitch got its name, as it resembles the texture of a wicker basket weave. 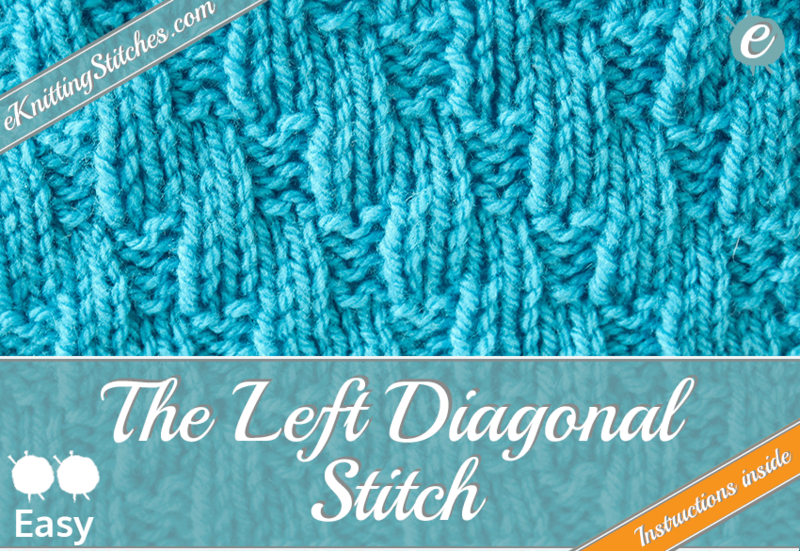 Simple and straightforward stitch using alternating rows of knit and purl stitches. The seed stitch is a very easy Knit and Purl stitch that gives a beautiful raised dimple effect, almost like scattered seeds. 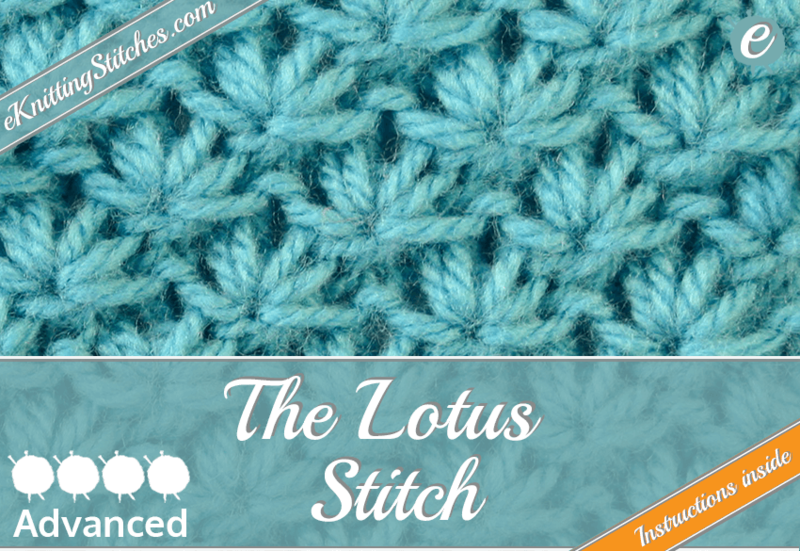 The Lotus Stitch can be quite tricky, especially for beginner but generates a beautiful textured flower pattern. The Left Diagonal Stitch gives a change of pace to the old knit and purl with this lovely cascading domino effect. 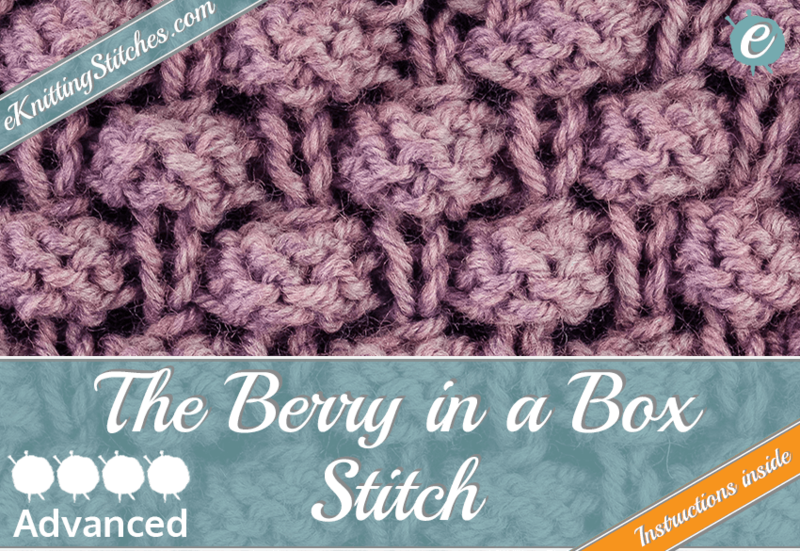 The Berry in a Box Stitch combines Knit & Purl increases to produce a beautiful layered, textured effect. Beautiful dense and reversible ribbing style that is also very simple to knit! 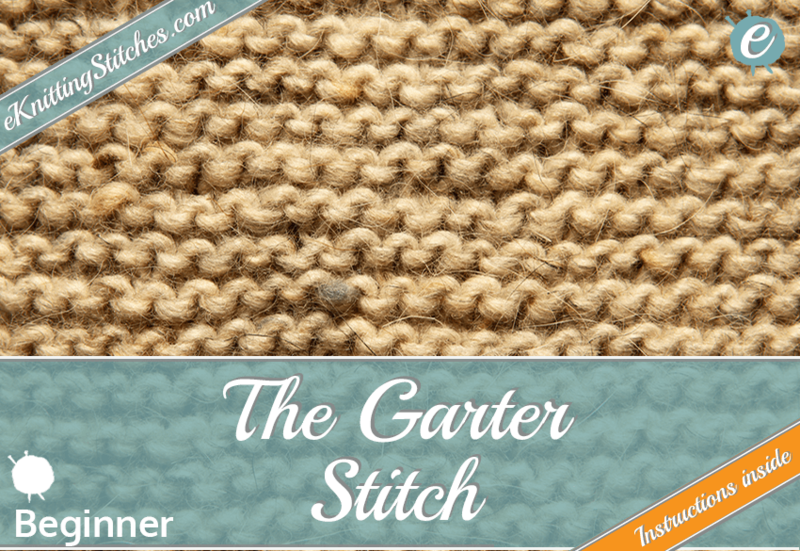 The garter stitch is the first step into the world of knitting, as it is the easiest stitch pattern used in knitting projects. The simple knit and purl can give rise to some wonderfully textured patterns such as the Broken Rib Stitch. Variation on the 2x2 Rib with alternating rows of p2k2 and purl stitches. 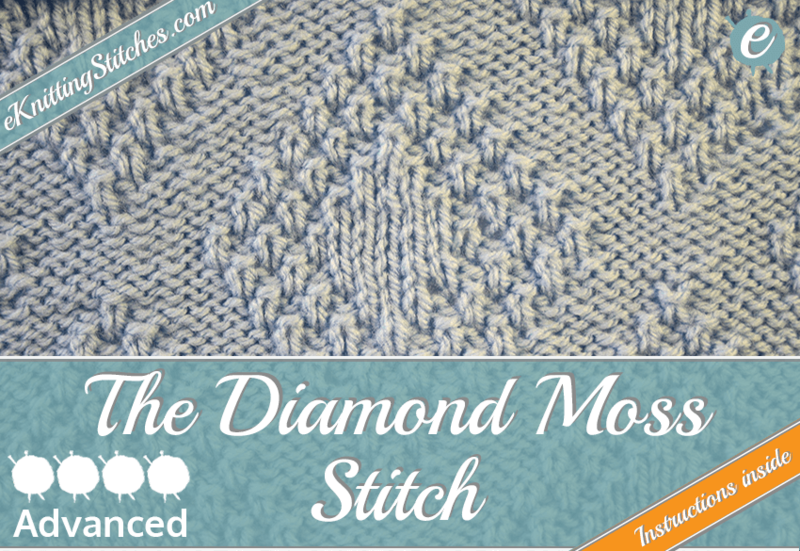 The Diamond Moss stitch is a brilliant choice for giving some life to larger projects such as blankets or throws. 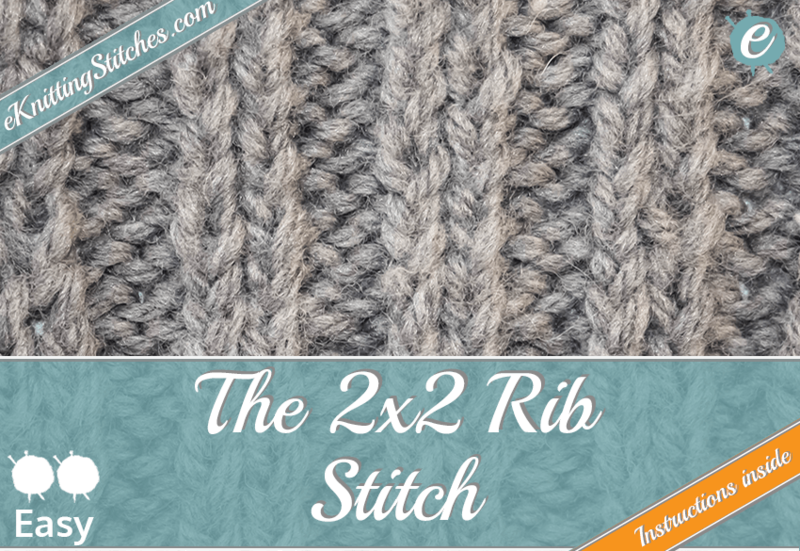 The 2x2 Rib Stitch is a hardy looking, reversible rib stitch. 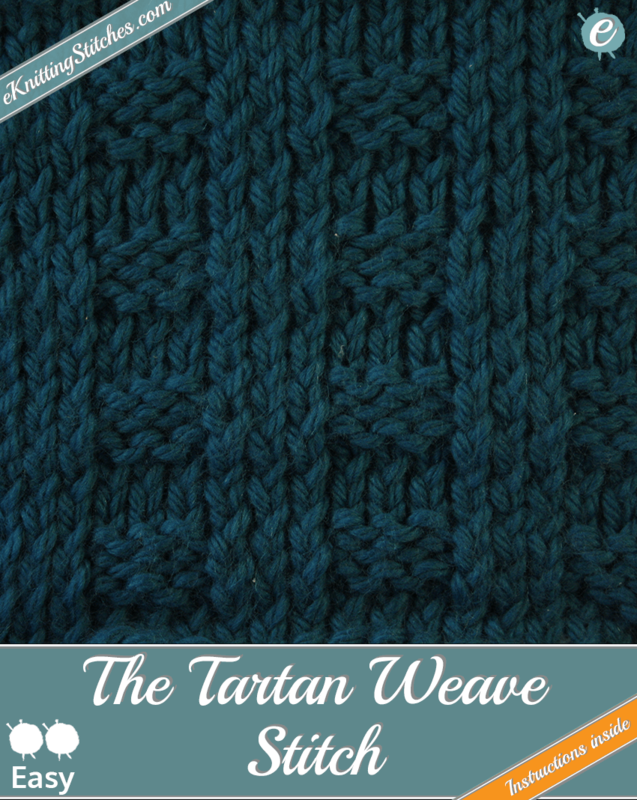 Mixture of 3x3 ribbing with stockinette stitch is used to generate this mock tartan effect. 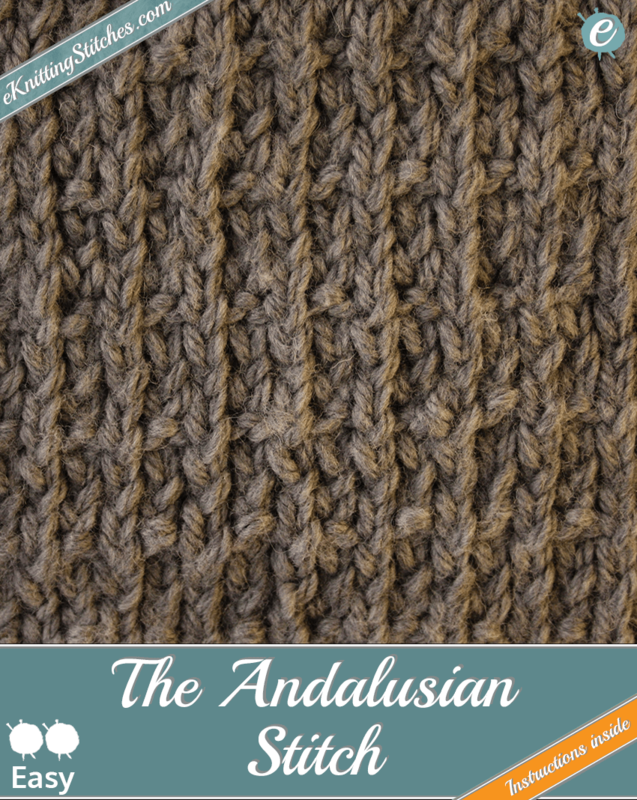 A very simple variation on the stockinette stitch produces the subtle, and beautiful Andalusian Stitch. 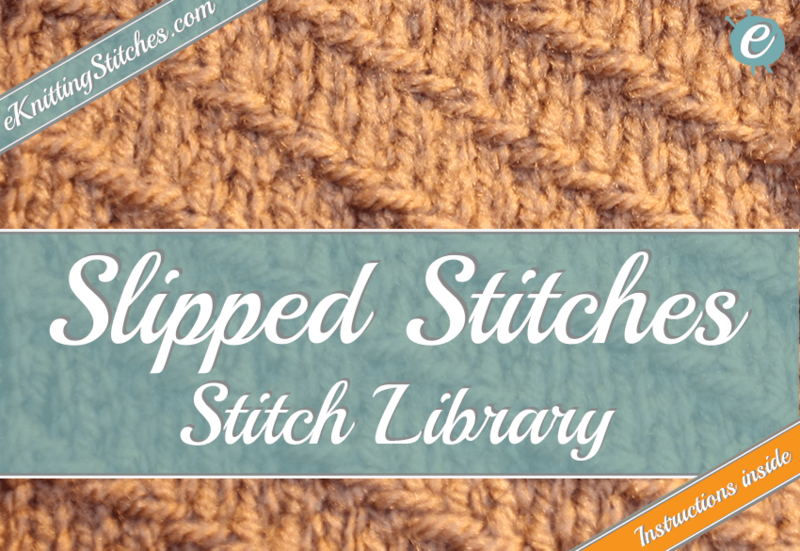 We are continuously adding new stitches to the collection, so be sure to check back in again! If you wish to request a specific stitch then please use the Contact Form to get in touch. Like our website? Then feel free to follow us on Twitter, Pinterest or like us on Facebook from the links below or in the sidebar. You can also check out a myriad of other possible stitches from the links above or categories below. There are hundreds of different types of knitting stitches that can yield a range of inspirational knitting designs. 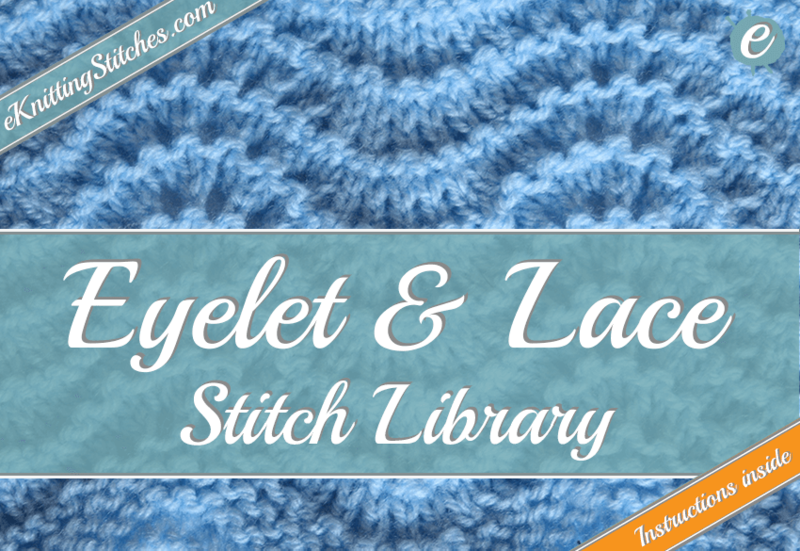 Here at eKnittingStitches.com we aim to provide an ever expanding free online Knitting Stitch Library to provide you with the inspiration you need - from easy knitting stitches for beginners to learn the craft, to lace knitting stitches for that delicate babies knit blanket you wanted to make your first grandchild. To make our online stitch dictionary easy to navigate you can search through our catalogue of beautiful stitches by type such as a bread and butter Knit and Purl or if you are looking for something more rugged and chunky for that sweater, maybe Cables and Twists are more what you are looking for. 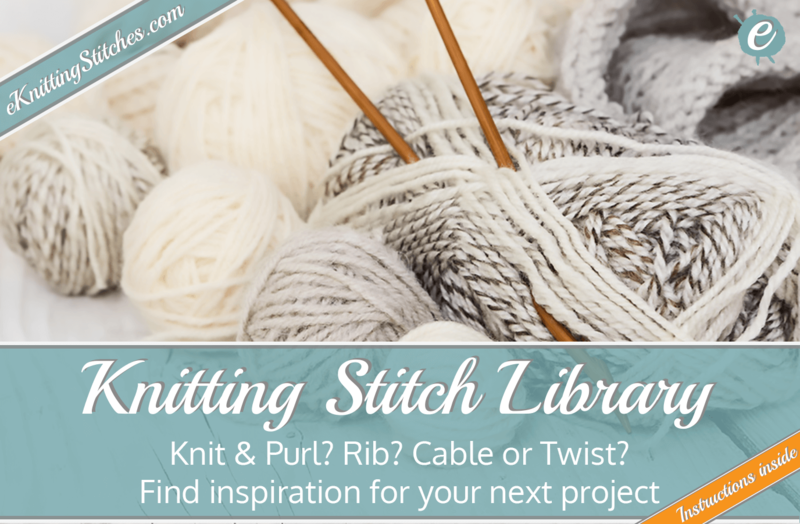 Alternatively, you can browse our knitting stitch library by difficulty. The Knit and Purl category builds a range of different knitting stitches on the two most basic knitting techniques (Knit and Purl). 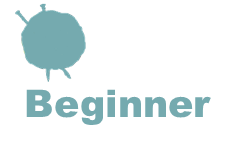 These range from basic knitting stitches for beginners such as Garter Stitch or Stockinette Stitch, to more advanced variations such as the Fur Stitch. The eyelet and lace category involves creating eyelets by using simple wraps and yarn overs, thus creating a myriad of stunning lace patterns. The different stitches can create a vast variety of patterns, from very simple delicate flower motifs to much more complex chunky textures. Rib stitches generate raised wales by alternating different stitches along a row. Hugely popular for cuffs and collars they are often found in sweater and scarf designs. 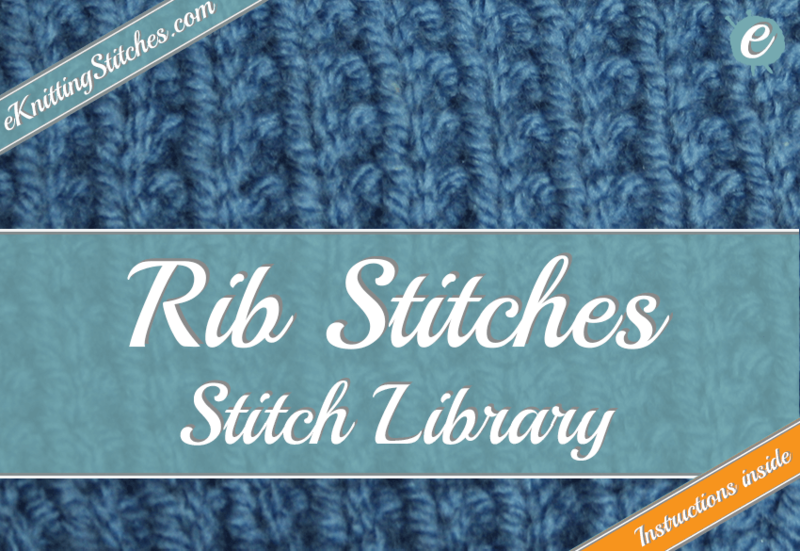 Rib stitches vary greatly in difficultly, from the simple knit and purl 1x1 Rib Stitch to involving complex lace patterns into the ribbing design. Mention cables and twists and your mind is instantly transported to days gone by - sitting on the beach watching the fishermen bringing in their haul in their chunky knitwear. 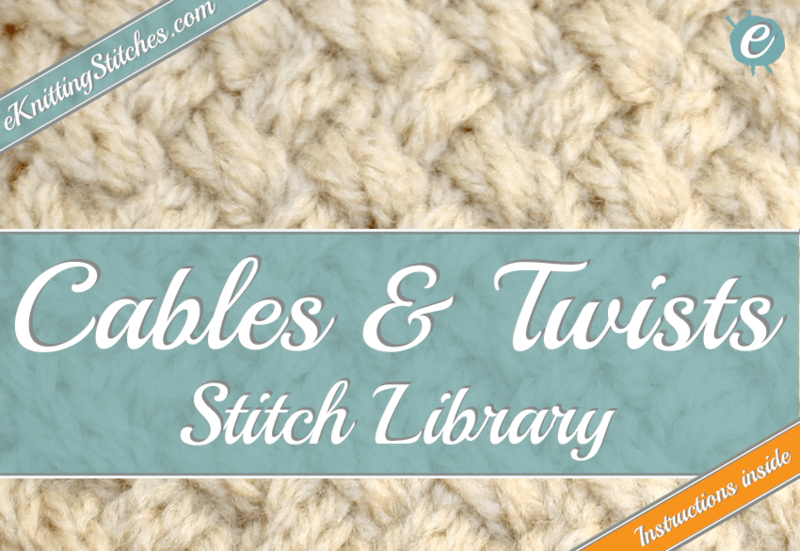 Fancy adding some fun twists and cables to your knitwear like the Woven Cable stitch or the Chunky Braid stitch? Potentially developed from an accidental missed stitch and some experimentation, slip stitching allows for weaving together multiple colours or textures together into one fabric. 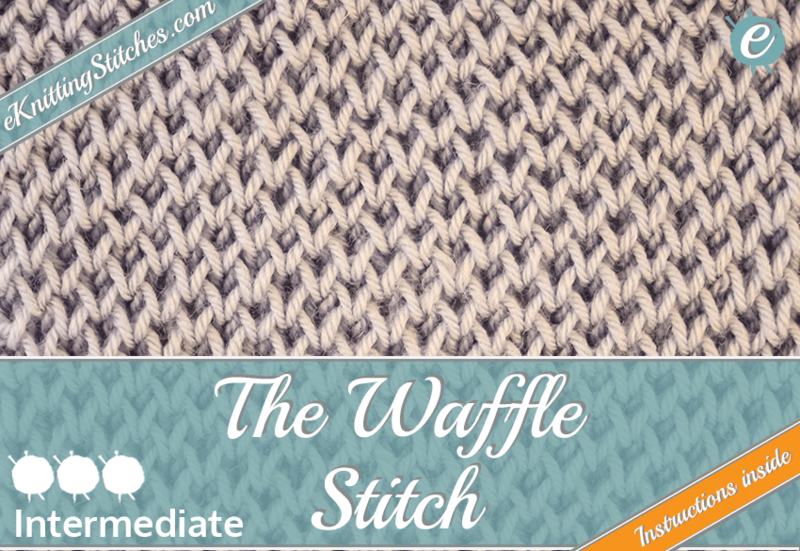 Fancy creating some interesting colour work or looking to add some wonderful texture like the Slip Stitch Honeycomb? Whilst you may be perusing for a specific technique or look for a stitch - we have also provide in addition the ability to search for different knitting stitches patterns by difficulty. 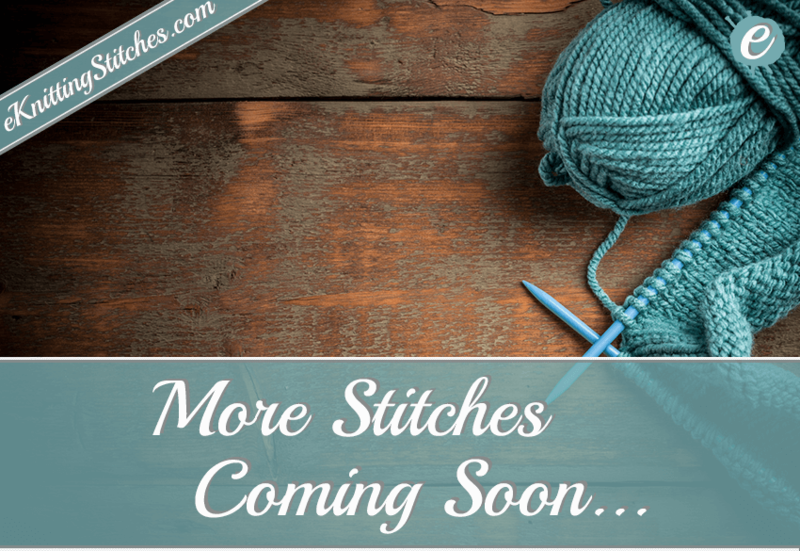 Whether you are a seasoned knitter looking for a more taxing challenge or a complete beginner, researching for your first few stitches (where we also suggest checking out or special beginners section). Then we are sure you will be able to find something to wet your appetite. 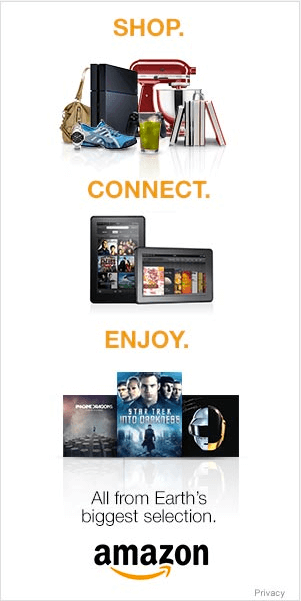 Like our website? Then feel free to follow us on social media, from Pinterest, Facebook or Twitter from the links below or in the sidebar.